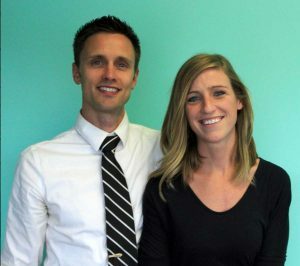 Northfield, MN Chiropractors Dr. Jacob M Conway & Dr. Bridget Conway offer effective chiropractic care for pain management. Chiropractic care is effective in treating many conditions such as back pain, neck pain, headaches, and so much more! A thorough neurological exam will determine whether Cannon Pointe Chiropractic is the right place for your individual condition and set of symptoms. Dr. Conway is the only chiropractor in Northfield that uses a functional neurological approach to your condition. This means that the specificity of your treatment plan will likely speed up your recovery time! Cannon Pointe provides convenient, affordable pain management chiropractic care. We treat a variety of joint, muscle, and nerve pain conditions including neck and back pain, headaches, migraines, carpal tunnel, and fibromyalgia. Not all headaches are the same, and need to be looked at on an individual basis. Some wrap around the side of the head, some throb, some feel like pressure, and some have migraine qualities. Headaches can be from annoying all the way up to debilitating. Cannon Pointe Chiropractic uses the functional neurological exam to assess your headache. DOT physicals are needed every two years, and it comes up faster than a lot of people expect. Cannon Pointe Chiropractic tries very hard to get DOT physicals scheduled on the day of the call, and at an extremely affordable price. Had problems on Fri, and could not stand the pain. I drove up and in 45 min I felt better! Because of this, I was able to go on a nice snowmobile trip! Thank you very much! Patient for life! I had a constant pain that no doctor could get rid of in 3 years. Dr. Jake used techniques that took care of the problem. I can now swing a baseball bat comfortably! Within a very short amount of time -3rd visit- I can honestly say my neck feels 90% better. I have struggled with the constant pain in my neck and upper back for the past few years, and I am so happy to report how much better I am feeling! Recently, I was in Northfield on business and having a terrible back and neck day. I stopped in to Cannon Pointe Chiropractic and Dr. Conway had an opening in his schedule to fit me in. I have been to several chiropractors before, but never regularly, as I have never found one that I really liked. This time was different. I walked away feeling great, armed with a better understanding of my pain and how to attack it. The good: I finally found a chiropractor that I want to stick with. The not-so-good: Now I have to drive an hour to get there! Oh well… Pain-free is worth a road trip. Highly recommended.